MAKATI, PHILIPPINES | Since we had friends from overseas coming to visit us and wanted to do some last minute shopping. We decided to stay in a central location in Makati. We also wanted the hotel to be walking distance to shopping malls and with easy access to the airport the next day. And that’s when we found out about New World Hotel. New World Makati Hotel has 584 suites and guestrooms, business Center, elegant dining options, fitness center, sauna, spa, swimming pool (outdoor), and function space. The swimming pool is open 24 hours, so you can swim and relax at the pool anytime you want. 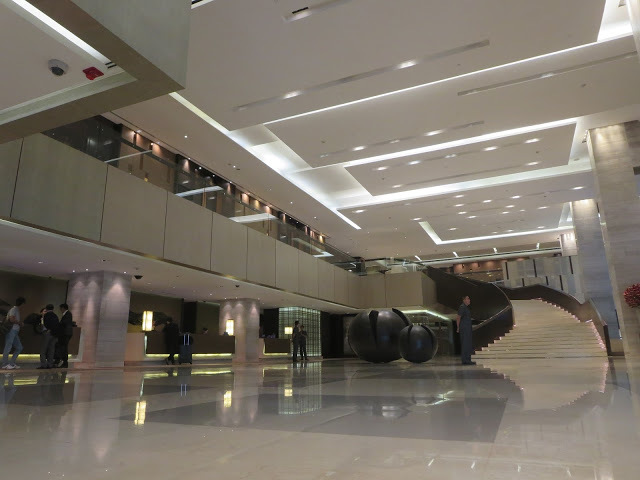 The moment you walk in, this grand minimalist-inspired lobby will leave you in awe.The lobby is spacious which creates a very calm and peaceful atmosphere. Our check in was very smooth and easy and the staff were very hospital and accommodating. As we walked in to our room, first thing I like was the space. The room was very airy and filled with natural light and you got pretty much what you needed in a hotel room. Everybody will surely have a great sleep on this very comfy bed covered with the softest of linens. The pillow as well was firm and didn’t end up with a stiff neck in the morning. So this passed my over all sleep evaluation! This was the view of Greenbelt shopping mall that could be seen from our room window. After a nice stroll through Greenbelt Mall during last night around Makati area followed by a comfortable night, our staycation was not complete without a nice breakfast buffet at CAFE 1228. The restaurant opens for breakfast at 6:00 am until 10:00 am in the morning but the restaurant stays open until 10:30 pm. As you walked in, you would already have a feeling that you are up for a fine dining breakfast and I just couldn’t wait to check what kind of food awaited us! After a nice cup of coffee, I walked around to check on food and I was shocked with the selection of dishes they have for breakfast. It was overwhelming! Cafe 1228 offers local and international dishes that suits everybody’s taste buds. From salads, fruits, dimsums, meats, name it, I am sure they will have it for you! And as for me, I really enjoyed their vegetable juice. You can just pick from the selection of vegetables and fruits and they will juice it up for you. Perfect way to start your morning! I tried the beetroot juice with other fruit just to balance the taste and I enjoyed it so much!There are some live cooking stations which I enjoyed because you see them preparing the food and they are very friendly too. At the end of our breakfast, all we could say was this hotel was impressive! The food and the variety was really good and the staff were very hospitable too! I maybe I haven’t tried it all, but by the selection and taste of food, by the hospitality of the staff, and the ambiance of the place. This so far one the best buffet breakfasts we had so far in Makati. 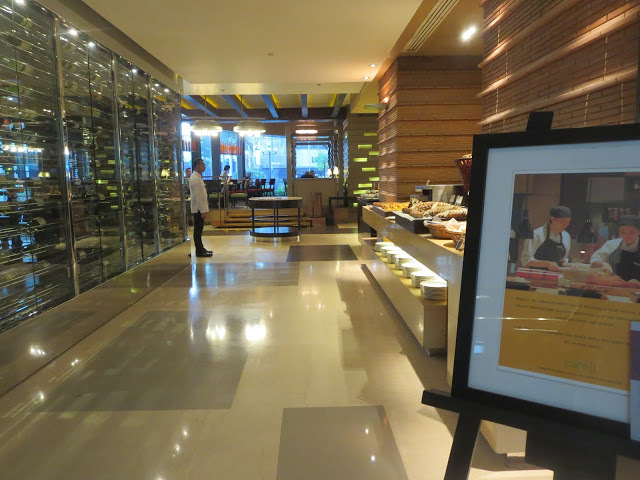 All in all, our overnight stay at New World Hotel really was a great experience. 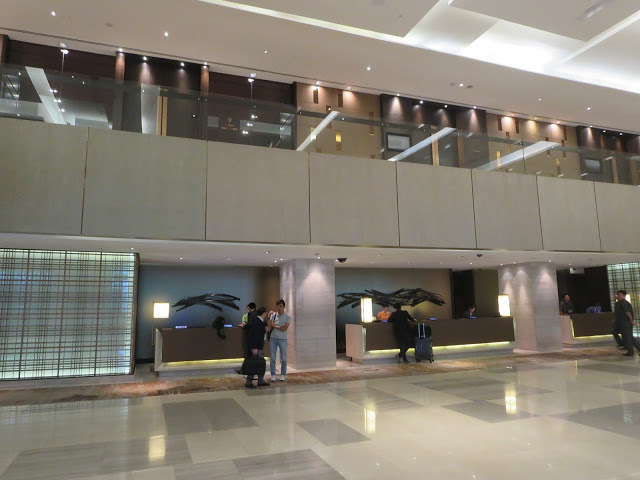 Though it was a bit short, but this five star hotel is a great option for us every time we decide to stay in Manila for a stay cation and a hotel where we could take our friends into the heart of Makati.